Eggs are a wonderful and important ingredient in many dishes and I can even go so far to say that it is the most versatile ingredient you have in your kitchen. Just look at the number of ways you can eat just the egg as a dish; soft boiled, hard boiled, sunny side up, over easy, poached, scrambled.. 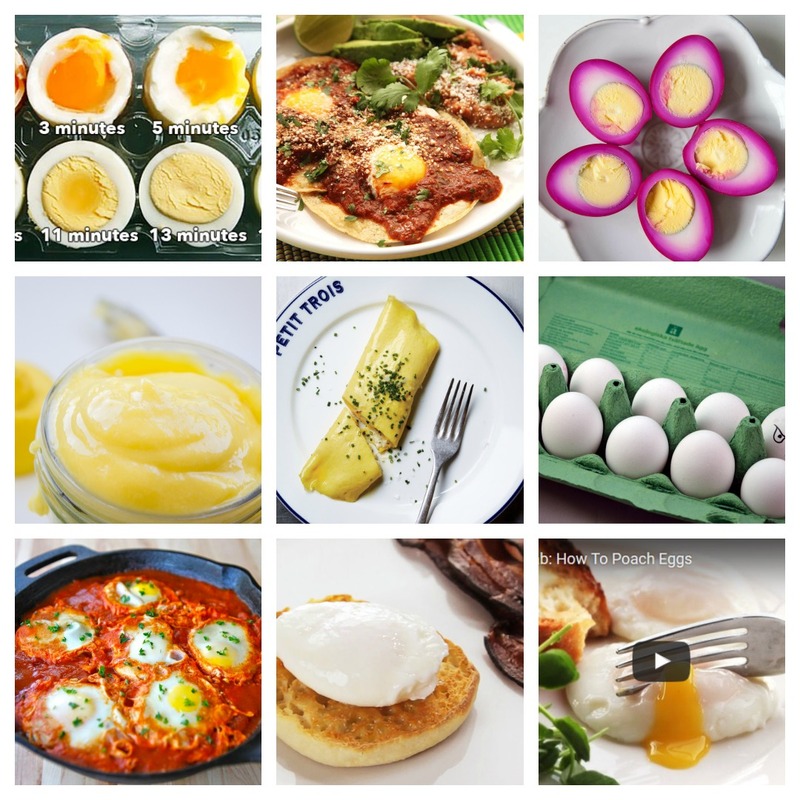 It deserves a lengthy blog post describing everything you need to know about eggs! Many of the things listed here might seem basic to you, but do you really master it? Eggs are wonderful. They can be prepared in dozens of ways, used in hundreds of dishes, and while they’re deceptively simple to make, they’re surprisingly difficult to get right. Store eggs in the refrigerator using the original carton. They will last significantly longer than the best before date. Leftover raw egg whites and yolks should be put in airtight containers and stored in the refrigerator immediately. Egg whites can be easily frozen and thawed for future use. Once thawed, whites will beat to a better volume if allowed to sit at room temperature for about 30 minutes. Here are some smart and quick tips to determine whether the egg is ok to eat. Floatation test: if the egg sinks in a glass of water, then you can eat it. Crack the egg on a plate: if the yolk is sitting high and the white is gathered closely around then it is ok to consume. A bad egg will have an almost flat yolk and a runny (almost like water) white. I usually just smell them, but once in a while I would like to know in advance whether I need to buy new eggs or if I can use what I already have in my fridge. In that case the egg floating test is perfect! The egg floating test is also needed if you want to boil the eggs without a nasty surprise. If it sinks straight to the bottom it is ok to eat, if it bounces a few times it is also ok to consume. If it floats then it has gone bad and you should not eat it. Crack eggs all over and peel under running water. Sunny side up eggs or over easy eggs might be what you consider to be a perfect fried egg, but there are also other ways to fry an egg. Crack egg with one hand and use your other hand with fingers slightly separated to let the white slide through and the yolk remains in your hand. Sure you need to wash your hands, but this is the fastest method! Make a small hole in the fat end of a raw egg with a pin or needle. Wiggle the needle around to create a slightly larger hole. The hole should be about ½ cm (¼ inch) across. Make a hole in the opposite end of the egg. This hole can be much smaller. Insert the needle into the egg to break the yolk (this makes it easier to remove the egg). Blow into the small hole to remove the egg yolk and egg white into a large bowl. When the egg has been removed from the shell, run water into the eggshell, shake it to rinse the insides well, and pour it out. Don’t forget to buy organic eggs!